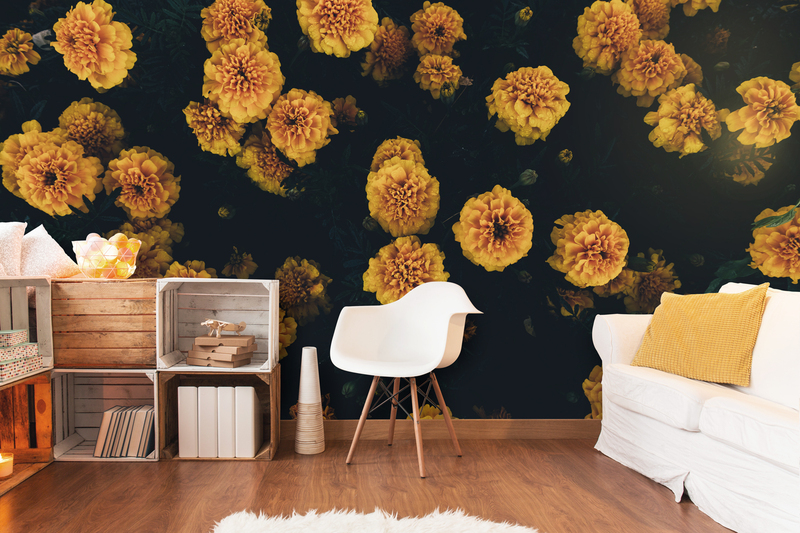 We take a look at the best pattern wallpaper for your home this year. Pattern wallpaper comes in many varieties and can be used for many different decor purposes for your home. 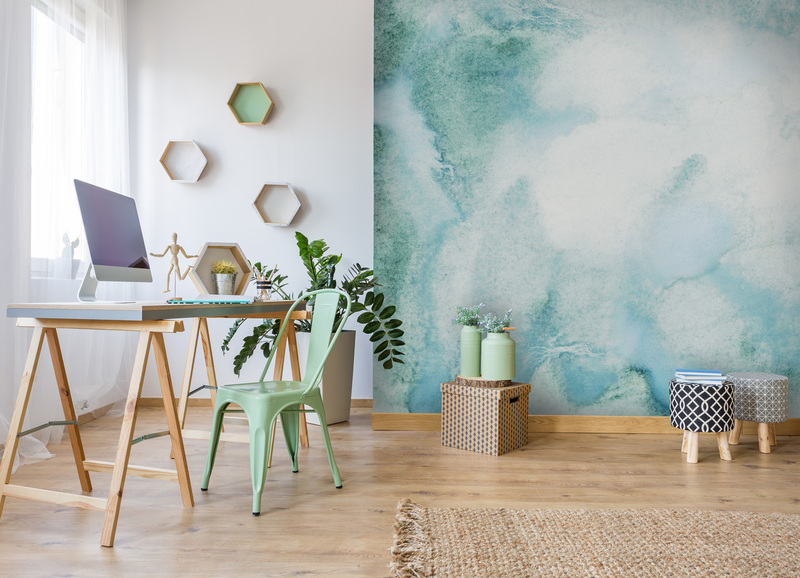 Whether you are looking to create a particular style, follow a specific trend or just simply add some beauty and impact to your home, you’ll find that pattern wallpaper is usually a great choice. Below we take a look at some pattern wallpaper styles ranging from timeless designs that will wow all of your guests, to patterns that will help you to achieve the latest trends. Floral patterns have had a renaissance during the past few years. Going from a pattern associated with outdated, drab decor to an emergence of romantic patterns that uplift decor and actually bring it on trend. This year, bold and dramatic print and pattern is a prominent trend for upholstery, prints, walls and everything in between. Geometric patterns have made it into the big leagues this year, being featured in home style magazines everywhere. 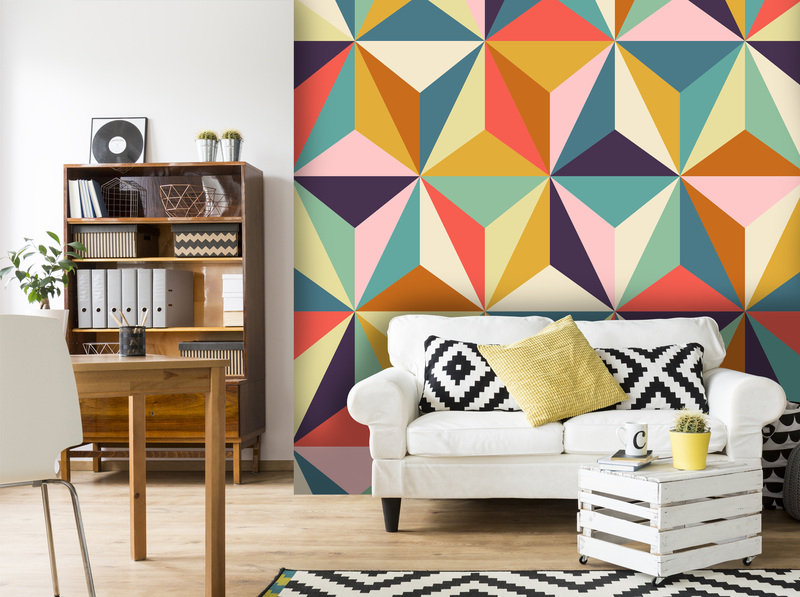 There are many different styles of geometric pattern, each of which will work with different styles of decor; making it the perfect way to bring your decor on trend. On trend and perfect for both family rooms and personal spaces, butterfly pattern wallpaper can instantly add life and elegance to any room. 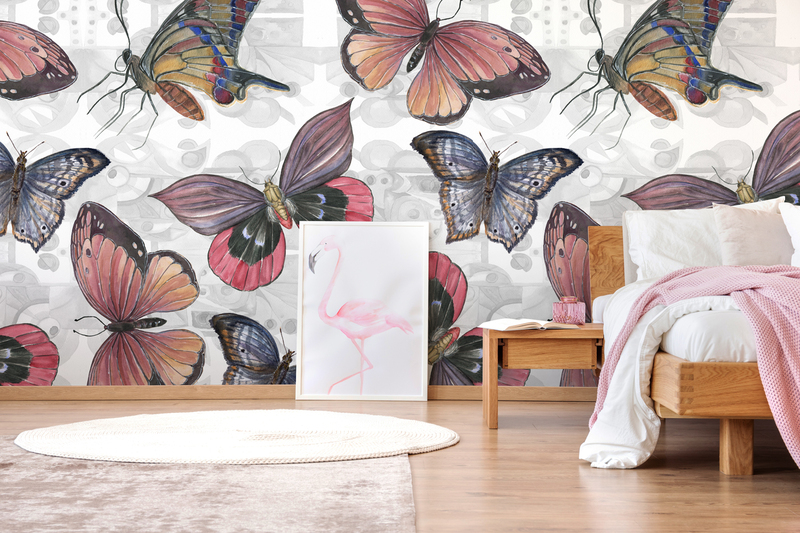 The butterfly pattern will create the delicate yet stylish touch you are looking for, making it a great alternative to floral pattern wallpaper. With a choice of colours and styles, you’ll also be able to find a butterfly pattern colour to match perfectly with your decor colour scheme. Are you looking for a pattern wallpaper that has a bit of a cool factor? Nail the industrial trend in one move with a brick pattern wallpaper. These pattern wallpapers will create the look of a very on trend exposed brick feature wall in your home. Choose from raw brick, distressed brick walls, painted brick (a great choice for creating a look that crosses Scandinavian with ‘industrial’) and more. Image sent in by customer, Jayne. If you’d like some advice choosing a pattern wallpaper, or any other style; you can contact us, or leave a comment in the comments section, below.